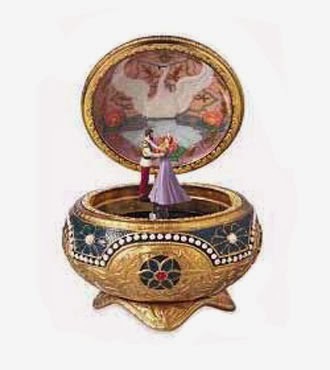 The story is told a long time ago of a man who wanted to give his wife a very special present – one she had dreamed of having since she was a little girl – a beautiful Music Box. You know the kind – you lift up the lid and a tune plays, and maybe even a ballerina dances. He found an exquisite one in a shop one day when he was shopping alone and knew this was it. It was extra special because it also glowed in the dark. Her birthday came around and after they had had a lovely dinner together he said he had a little extra surprise for her. He turned all the lights out, and he got this precious gift from his wardrobe and gave it to her. She carefully unwrapped it in the dark and when uncovered all she could see was a dark kind of box thingy. The husband was really disappointed. He was sure it would be glowing and give her such a thrill. In clear disappointment he went and turned the lights on and said he was very sorry. It must be broken. Of course there was nothing wrong with the box, and once it had spent a day in the sun it fairly glowed in the dark. By doing these things our lives take on the quality of light – they shine for all to see; and they challenge others to praise God and to do likewise. In our Gospel reading Jesus declares that we ARE the LIGHT of the WORLD. Not that we WILL be. Not that we CAN be. We ARE the Light of the World. And he makes the observation that this is about taking on his ministry of service and compassion and so making those who observe us doing this aware that God is good and worthy of our praise. In the ancient world you had to keep a light burning all the time – it wasn’t always easy to get it started again; there were no safety strike matches. If your light went out you would have to go find a neighbour to borrow some light from. The flame for your light had to come from the flame of another’s light. Light was always being passed on and around. Another way of looking at it is that the light that shows when we are engaged in this ministry of good works is a REFLECTION of the light of Jesus that is within us – just like the moon’s light is a reflection of the light of the Sun. And, of course, we need to realise that this kind of light was never intended to be hidden away. When there is just a single light in a room, it has to be put on a stand so that everyone can receive the light. Years ago, when I was in teacher’s college, I was involved in a geology excursion to the caves in the Leeuwin-Naturaliste region. We were privileged to gain permission to explore the Devil’s Lair cave. 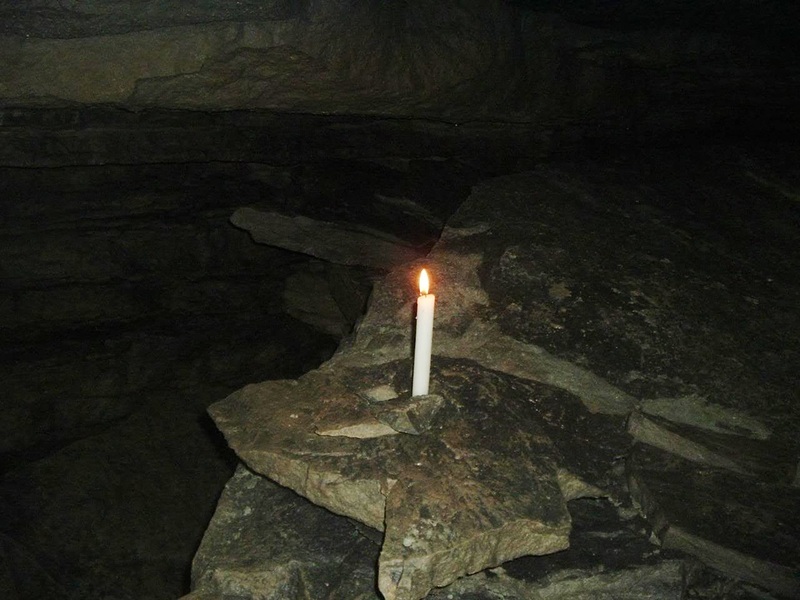 This cave is not open to the public and which has no electrical lighting in it. We came to a huge cavern area and were all told to douse our lights. After our eyes had adjusted to the most absolute darkness I have ever experienced one of the crew lit a single candle. It was amazing how much light came from that one candle. In time we could make out all the basic features within the cavern just from that single light source. The light of Christ within us is so needed in our day. There is so much darkness around us. There are many many dark places but they will never overcome the light of Christ. Light is also used to warn us of danger and lead the way – especially on the oceans. Lighthouses and navigation lights keep people safe – that is part of our calling, too, if we are to be the light of the world. To me, this is a call to action. We are called on to undertake these same acts of mercy and kindness to those around us. But there are two other images in our selection of Gospel that I thought I would mention in passing – just worth a thought. Jesus actually says that we are the Salt of the earth. He says this before he says that we are the light of the world and its an image full of meaning. In Jesus’ day salt was a very precious commodity. You may be familiar with the term “Off to the salt mine” as a reference to going off to work. Work is where we earn our salary and the etymology of salary lies with the word for salt – saline, for example is similar to salary. How did this happen? In Roman times it was not uncommon to actually use salt to pay wages. Salt was very useful, and according to the Romans it was the purest of all things because it was made of two very pure things – the sea and the sun. There are two wonderful dimensions to this image if we are to understand what it means for us to be the salt of the earth. Firstly, salt makes things tasty, it brings out flavours and without it many foods are insipid. As we live out the mission and ministry of Christ in our world we are adding that same zest and flavour to the world. We are changing what would otherwise be an insipid experience of life into something rather vibrant. But salt is also a preservative and cleanser. Many things, when treated with salt or brine are able to be kept for long periods of time without refrigeration. We, too, can have that same life-preserving effect in our society, the same cleansing effect id we live out the mission of Christ. I think I have told you before that many of the things we have in the Gospel stood alone as stories or what they call aphorisms – little sayings of Jesus – that people remembered and passed down orally for many years before the Gospel writers created a text. In writing the Gospel, each author has created their own sort of “string of beads”. By stringing the stories and aphorisms together in their particular way they end up with a string of beads that looks a bit different from the string the other gospel writers made. There are three beads in this week’s selection from Matthew – the salt aphorism, the light aphorism, and the teaching about the law. We have considered the salt and light aphorisms. Why do we have this teaching about the Law just here? The first thing to say is that we have already seen that for Matthew, the story of Jesus needs to run parallel to the story of Moses. So it should not be a surprise for us to hear Matthew giving Jesus an opportunity to say he was not doing away with all the Law stuff – rather he was fulfilling it. But if we are to take this too far in a particular direction we will end up failing to understand the importance of God’s amazing grace. Like Seventh Day Adventists we would be trying to keep all the LAW as our pathway to salvation and I am sure that’s not the way it should be. Perhaps the salt and light aphorisms will give us a way through this conundrum. The two aphorisms seem to point us to a way of being and doing that is an expression of the life of Christ within us. It is Christ in us that inspires the good works that we do – not the demands of the Law by which we are working out our salvation. It is in this way that our righteousness will exceed the righteousness of the Pharisees, not by us being even more meticulous than they were in keeping the whole law. To me that is the absolute fulfilment of the law that Jesus was talking about. Someone asked the question are we saved by works or grace – I think in truth that the answer is both, but the works are not driven by the burden of the law. Rather they are the outworking of grace. Do you have a real music box to demonstrate as you start the sermon, John? Sadly, no, Ted. But I do have childhood memories of wonder about them.